I've been meaning to check out this event this entire summer, but just haven't had the proper occasion. Saturday evening, movies by the water sounds just about perfect to me. Hope to see you there! A film by jeremiah Zagar. Directions: 2/3 to Eastern Parkway. 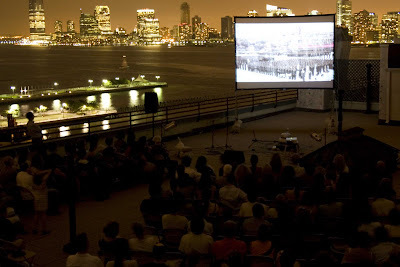 One of our absolute favorite films from the 2008 Rooftop Films Summer Series is going to premiere on HBO next week, and to celebrate there will be a special encore screening of Jeremiah Zagar's In A Dream at the Brooklyn Museum on Sunday. Read all about this fantastic film and RSVP todocu.rsvp@hbo.com to attend the show. Jeremiah, Isaiah (the subject of the film) and his family will be in attendance.